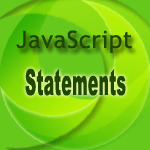 The return statement returns a value and exits from the current function. expression: The expression to return. If not present, the function does not return a value. In the following web document rectangle_area() function returns the area of a rectangle. See the Pen return-1 by w3resource (@w3resource) on CodePen.